Can a day be split up into 2 different shifts? Yes. The 8 hours can be split into the morning, the afternoon, or the evening. 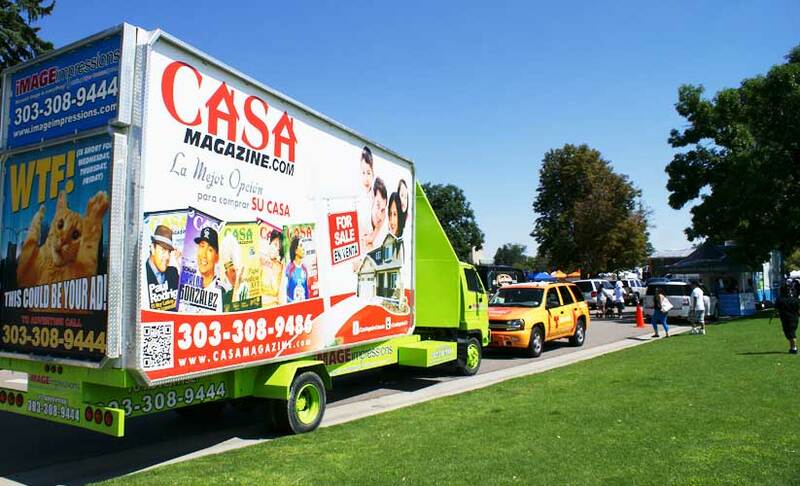 Overall dimensions of finished vinyl - TRUCK (side) = 22’11” x 10’5”, TRUCK (bottom back) = 79” x 81.5”, TRUCK (top back) = 79” x 30.25”. 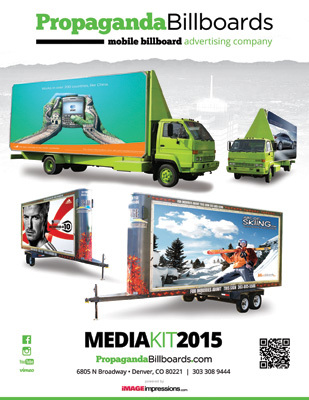 TRAILER (side) = 17’5.75” x 88.5”, TRAILER (back) = 60” x 87”. 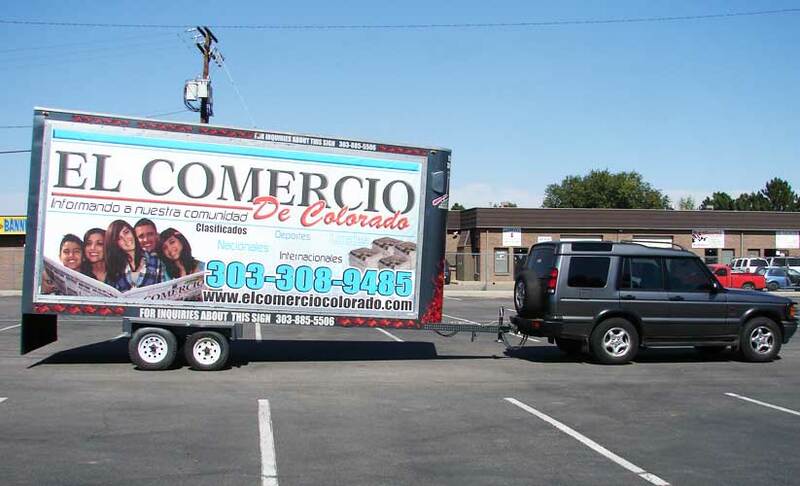 Does it cost more to produce full color billboards? Or less for 2 color billboards? No. Production costs are the same. What happens to the vinyl billboards when we are finished with our campaign? 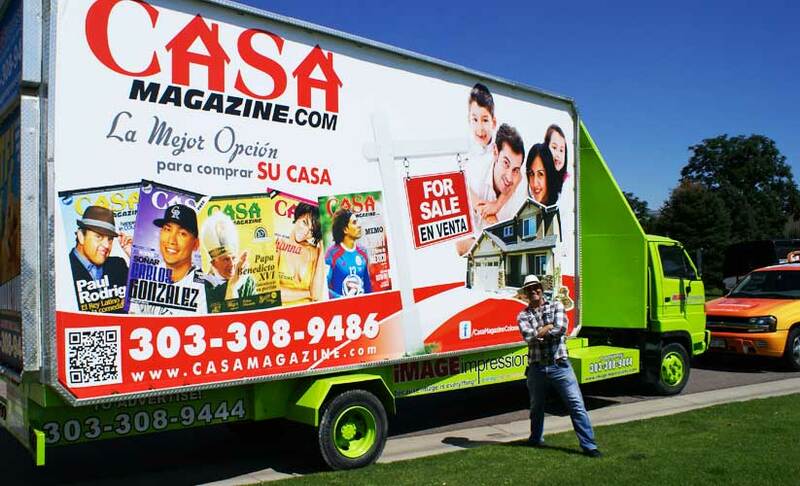 We will hold and store your vinyl billboards at no charge. We hope that you will use them again for a future campaign. At least 2 weeks! We recommend a month to avoid any rush charges in production. However, we can get your campaign on the road within 5 days, although rush charges may apply. Go to our contact page and send us a detailed message about your campaign. We will respond with detailed information about how to get started. 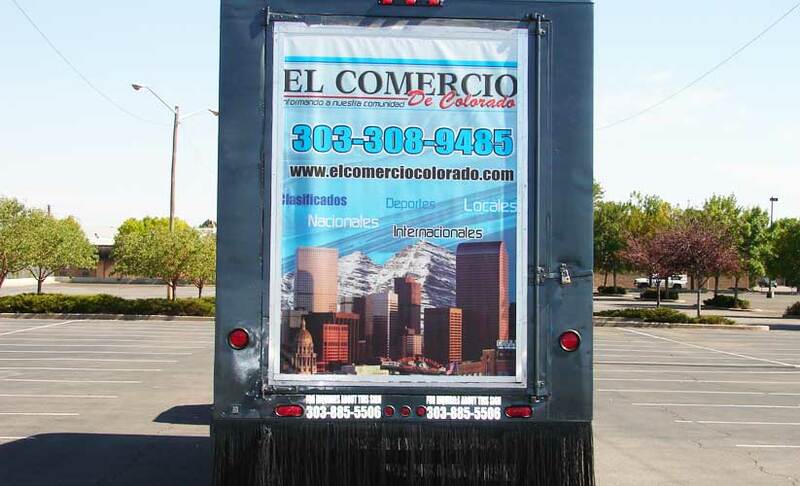 You may also call us at 303-308-9444. How much does a 2nd campaign cost? A second campaign generally costs less if the same banners are used. All you have to pay for is installation. 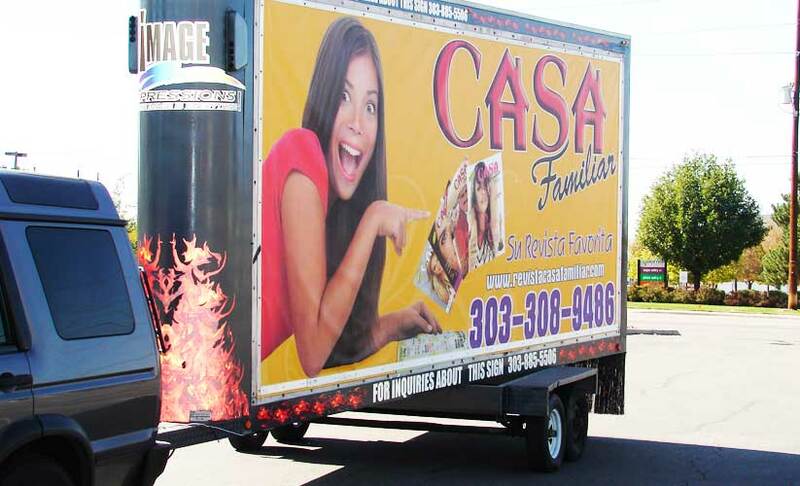 All expenses for the driver, fuel, insurance, tolls, travel and billboard installation are included in the rate. What we quote is what you are charged without hidden charges. You will only be charged extra if you add days, hours or additional locations to your campaign. Yes. You can supply us with a predetermined route to follow or Propaganda Billboards can help you decide the most effective route. We drive and park where you think will generate the best impressions. 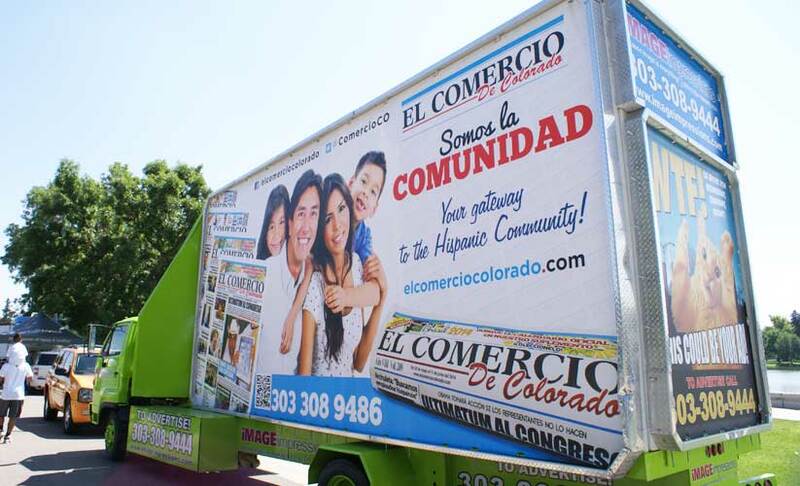 Yes, we can put different banners on all sides of the truck at no extra charge. One mobile advertising day is normally 8 hours. Extra hours for the day can be arranged. 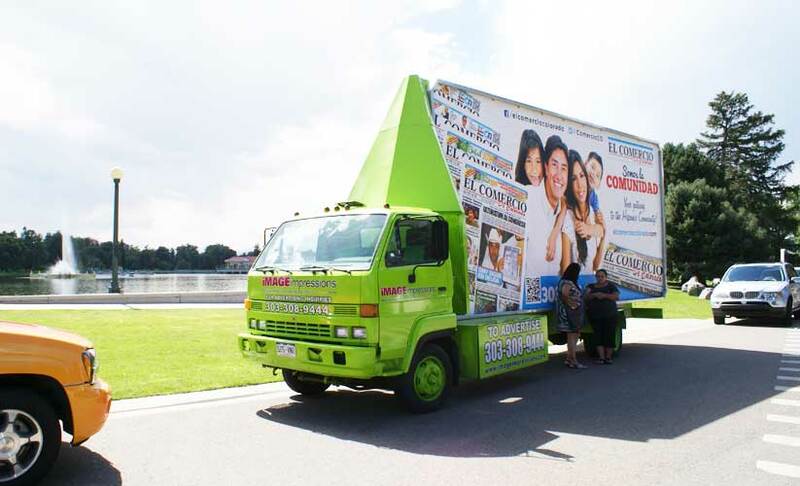 The ad space on a mobile billboard ranges from $500 to $1,250 per day. Pricing is based on geographic location and length of mobile ad campaign. 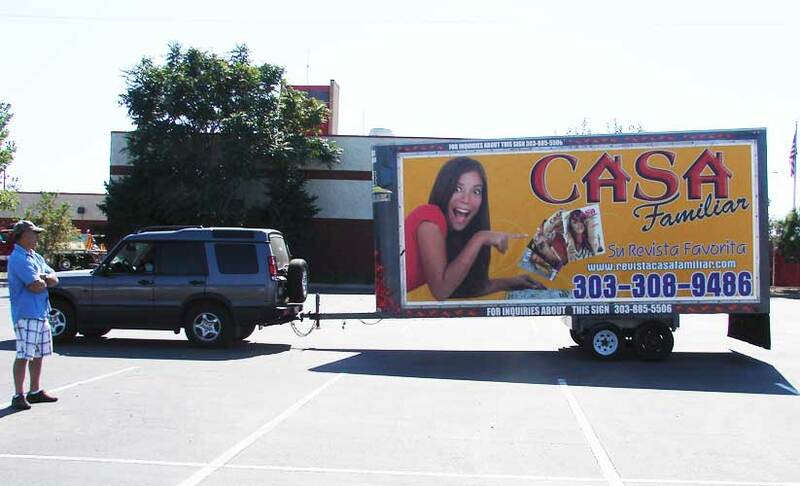 Production pricing ranges from $1,200 to $1,600 for two (2) full size color mobile billboard banners. 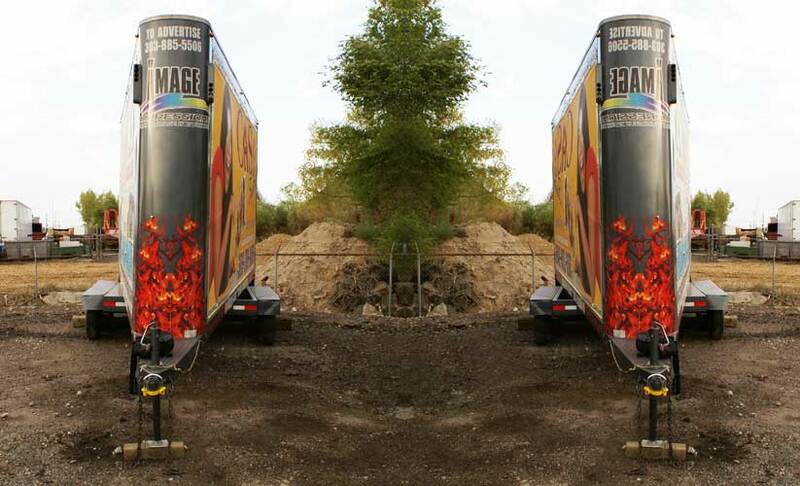 All of our trucks are equipped with GPS tracking systems that allow you to track the locations and driving history. How long will it take to produce the vinyl billboard? It typically takes 2 to 5 working days to make the billboard(s) once a proof has been approved by you. We will need at least two weeks lead time. How much is it for Propaganda Billboards to produce the artwork for us? Propaganda Billboards charges $65.00 an hour. Artwork averages to be about $150 to $550 depending on level of design. Do you have any more questions that are not listed above? We are glad to help!